The German architect Mr. Simsom is the mastermind behind the Nilambagh Palace Hotel, elegant structure built in 1859. The house has been converted into a renowned heritage hotel in the state of Gujarat. The hotel is a heady mix of splendid royal charm and modern luxuries. 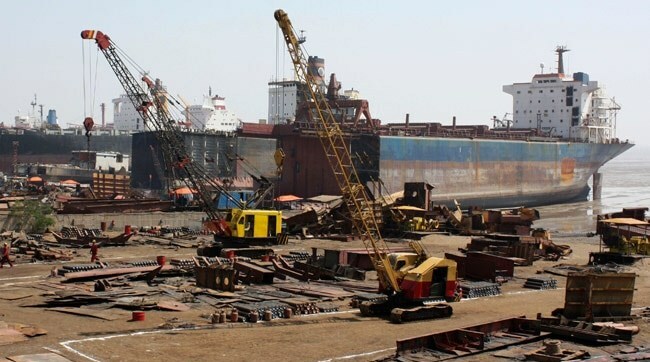 Alang Ship breaking yard is around 50 kms from Bhavnagar City. It is World’s biggest ship breaking yard. Many supertankers, car ferries, container ships, and a dwindling number of ocean liners are beached during high tide, and as the tide recedes, hundreds of manual laborers move onto the beach to dismantle each ship, salvaging what they can and reducing the rest to scrap. 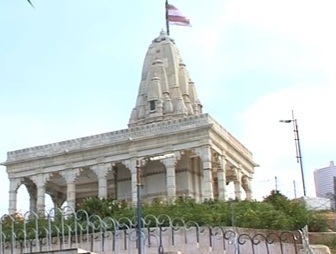 Takhteshwar Temple is situated on the hill in the middle of the Bhavnagar City. It is a Temple of Lord Shiva, built of white marble. It is a beautiful city tourist spot. One can enjoy an enchanting view of the city from a height from the temple premises.